THURSDAY, Jan. 11, 2018 (HealthDay News) — A Mediterranean diet may make seniors less likely to become frail and help them maintain their health and independence, new research suggests. Frailty — characterized by weak muscle strength, weight loss and low energy — is common among seniors. Frail seniors are at increased risk for falls, fractures, hospitalization, disability, dementia, nursing home placement and premature death. It’s believed that nutrition may play a role in frailty, so researchers reviewed data from four studies to determine if a healthy diet might reduce the risk for frailty. 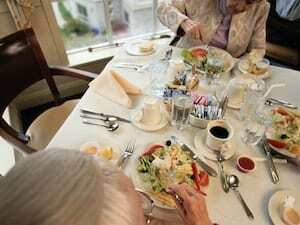 The studies included nearly 5,800 older adults in France, Spain, Italy and China. “We found the evidence was very consistent that older people who follow a Mediterranean diet had a lower risk of becoming frail,” said researcher Kate Walters, from the University College London. “People who followed a Mediterranean diet the most were overall less than half as likely to become frail over a nearly four-year period compared with those who followed it the least,” she said in a journal news release. However, it’s unclear whether people who followed a Mediterranean diet had other factors that may have helped prevent frailty. And the study did not prove that a Mediterranean diet actually caused frailty risk to drop, just that there was an association. “While the studies we included adjusted for many of the major factors that could be associated — for example, their age, gender, social class, smoking, alcohol, how much they exercised, and how many health conditions they had — there may be other factors that were not measured and we could not account for,” Walters said. “We now need large studies that look at whether increasing how much you follow a Mediterranean diet will reduce your risk of becoming frail,” she concluded.